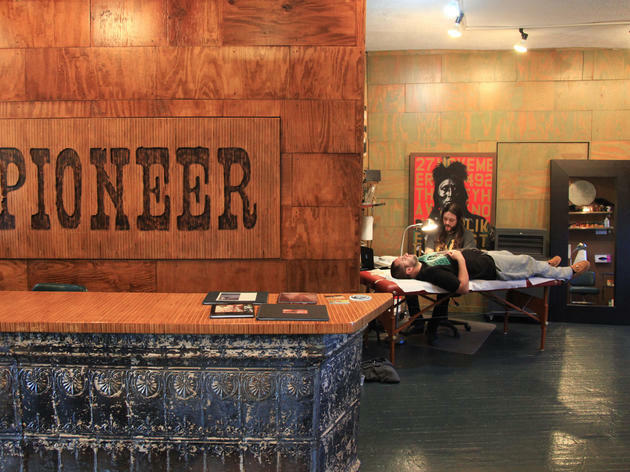 Approaching its five-year anniversary, Pioneer Tattoo is known as more of a specialty shop, being the child of local famed artists Tim Biedron and Harlan Thompson. Consultations in this laid-back, rustic-modern space are conducted by appointment only to ensure a completely customized experience. El: Brown to Addison. Bus: 50, 52. All my work has been done by David Allen (pictured above) at this shop and couldn't say enough good things about David or the shop. 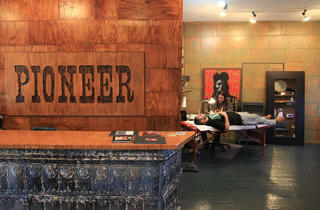 Very chill, mature place to get ink, not the typical over-lit, bad metal music blaring kind of place. All the artists here do incredible work.